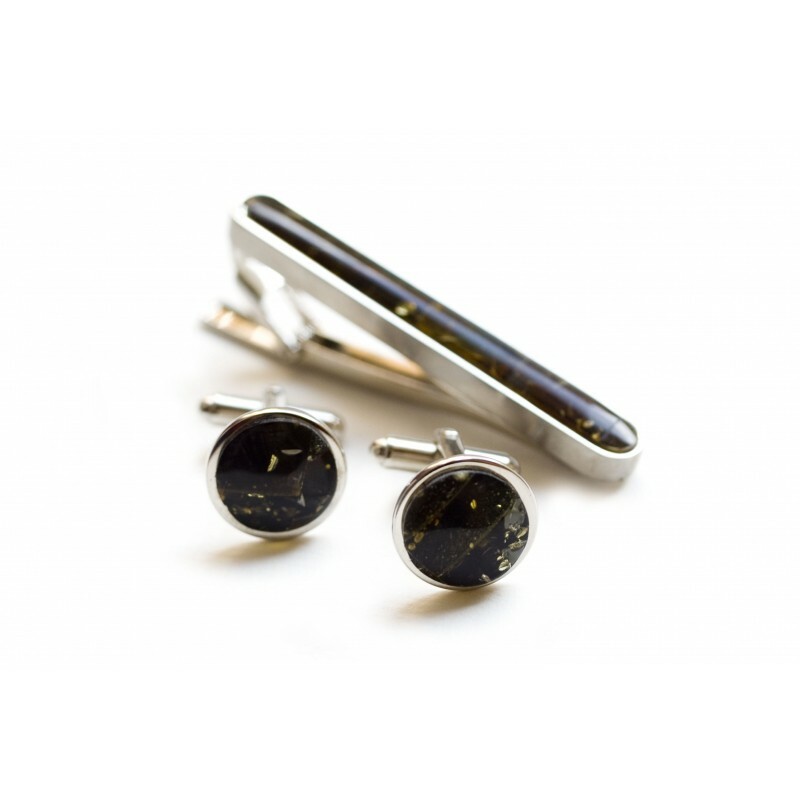 A set of cufflinks and a tie clip decorated with brown amber. An original gift for a man at any age. Do you find it difficult to choose an original gift for a man? We may help you to surprise him. Alter all, cufflinks and a tie clip - immortal classics.